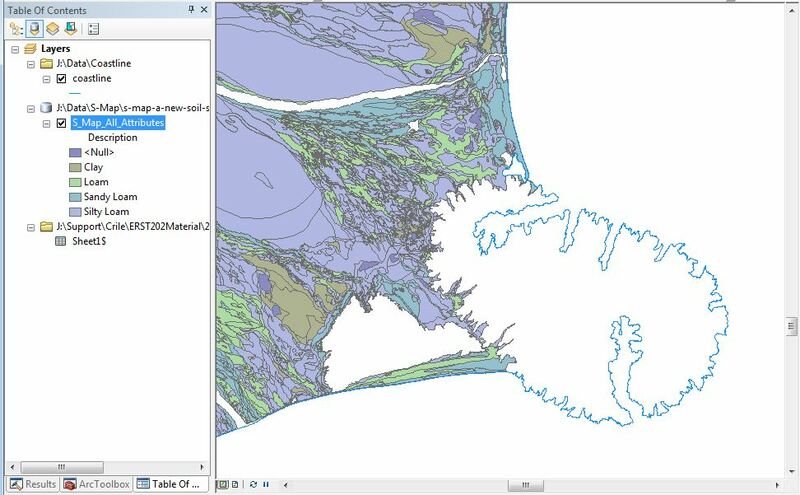 Table joins are an easy and convenient way to link data in spreadsheeets to spatial layers. 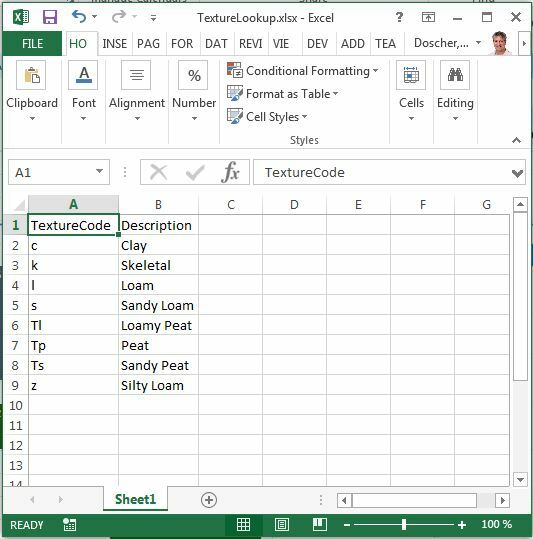 Here we cover a good example of one simple table join deciphering some codes in a soils layer. 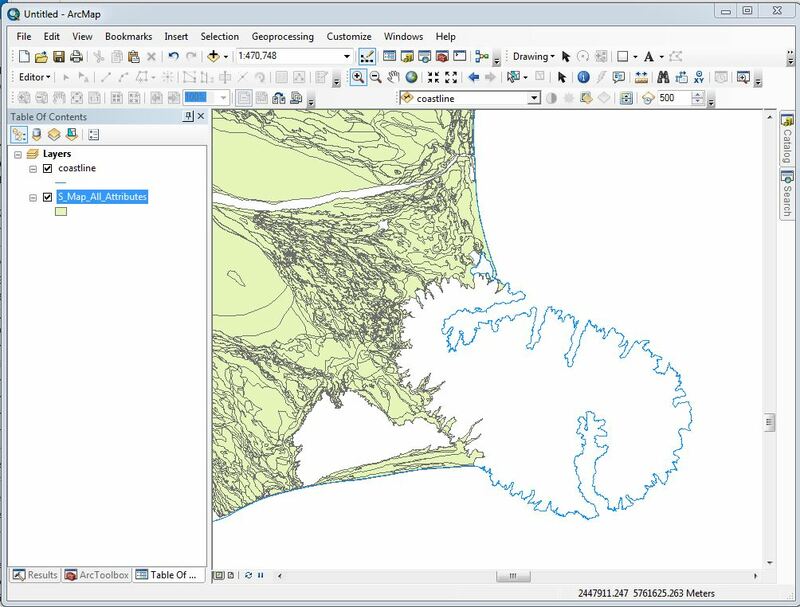 Those familiar with the J: drive will know that we hold many national scale datasets, from soils to land use to elevation, in a mixture of raster and vector formats. Many will also know that sometimes the attributes are less than forthcoming in terms of meaning. There are several examples of this, but let’s look at one in particular: S-Map. 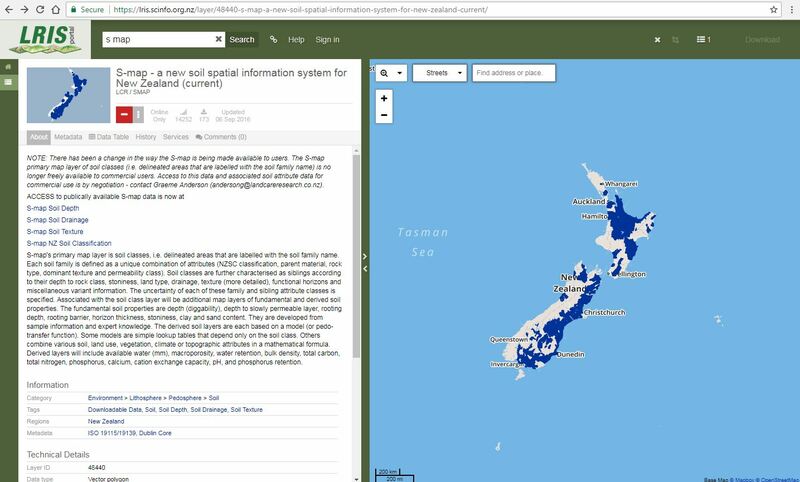 For those areas mapped, this is a valuable resource with lots of quantitative information about soils. But the view of table above shows us an issue. If you can make sense of these values, you’re doing better than I am – these are coded values rather than human-readable text descriptions. I recently had some students who wanted to map soil texture. It’s easy enough to symoblise the polygons by the texture code (TextureDom, or dominant texture), but without knowing what it means, it’s next to useless. Knowing (hoping) that there was some sort of Rosetta Stone somewhere that would allow some translation, I set out on a search. What we’re in need of here are metadata – data about data, essentially. First off – I’m in for a shock! 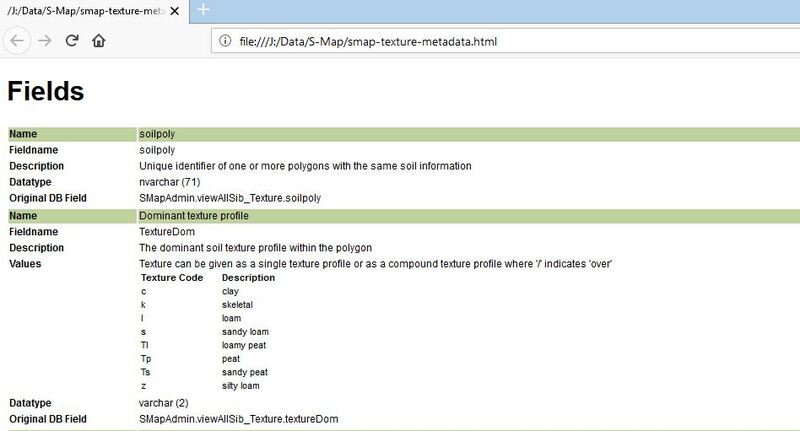 S-Map is no longer available for downloads to commercial users… (Good thing I had already downloaded it to J: some time ago…) Second, I couldn’t find anything that would allow me to translate the texture codes. Notice the “Metadata” tab in the screenshot above – for many layers, you can often get more detail on the data and attributes from here, either is text for or as downloadable documents, but in this case, nothing. The field names between table and layer don’t need to match but the actual values must in both format (e.g numbers versus text) and value. Before we move on though, there is an important final step in this process. The join is a temporary thing and really belongs to the map document. To make it permanent, I should export this layer as a new one (right-click the S-Map layer > Data > Export Data… and save as a new layer). Then it will always be a part of the new layer. 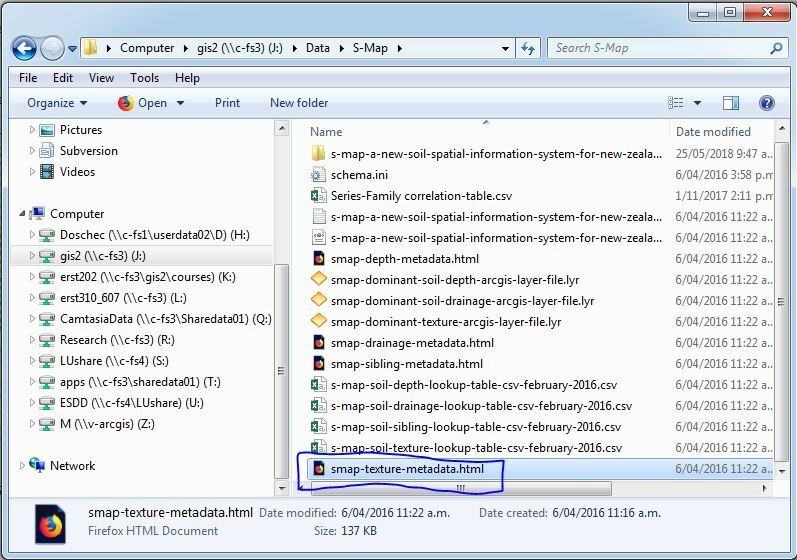 I rank table joins as amongst the top five most useful tools in ArcMap. 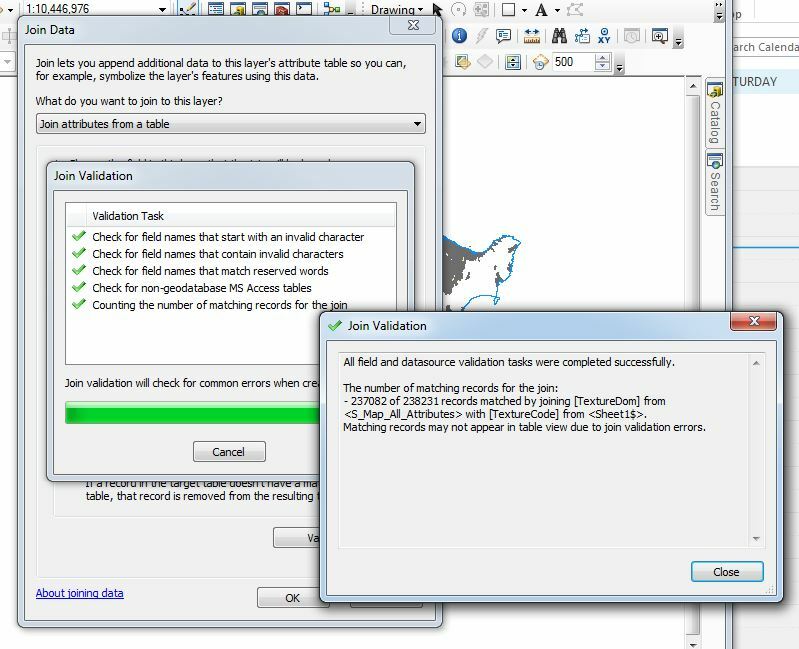 Lots of useful data exist as spreadsheets or text files and as long as you can establish a link to a layer’s attributes, you can make use of those data. In fact we’ve talked about table joins before with regard to mapping census data. The example above is a slight different type of join. With the census data, these is a one-to-one match between the spatial data (e.g. 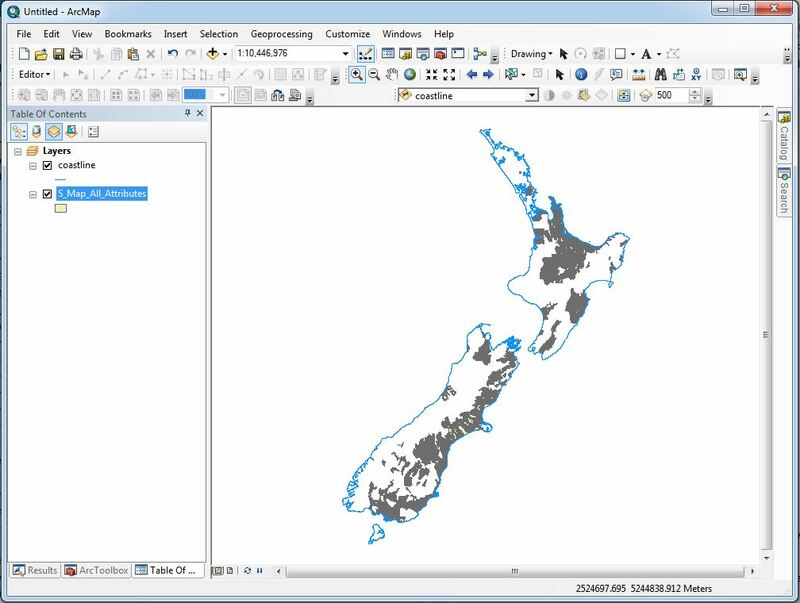 meshblocks or suburbs or regions) and the census data. 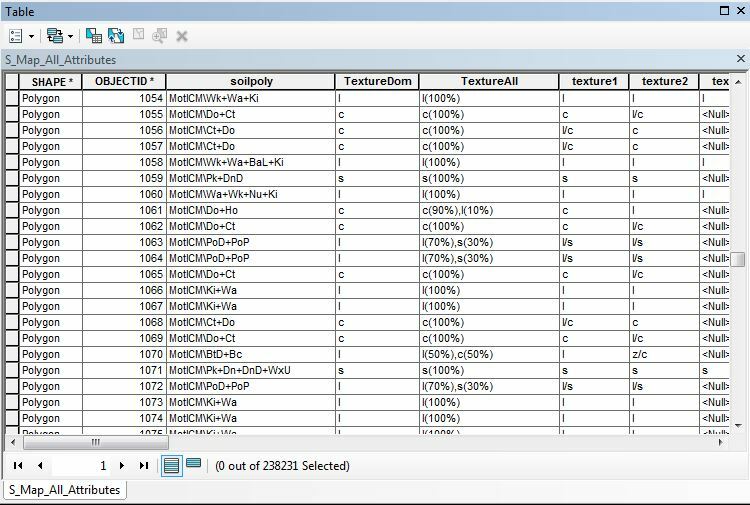 With the S-Map data, there were many instances of each Texture Code, so this was a one-to-many match. 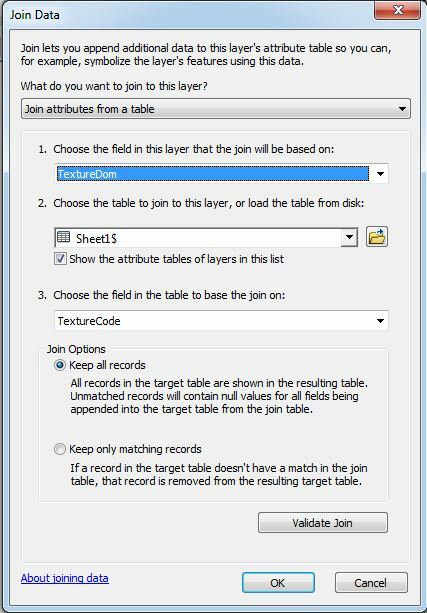 You saw how simple my spreadsheet table is – ArcMap essentially used it as a lookup table to match the correct description to the correct code. 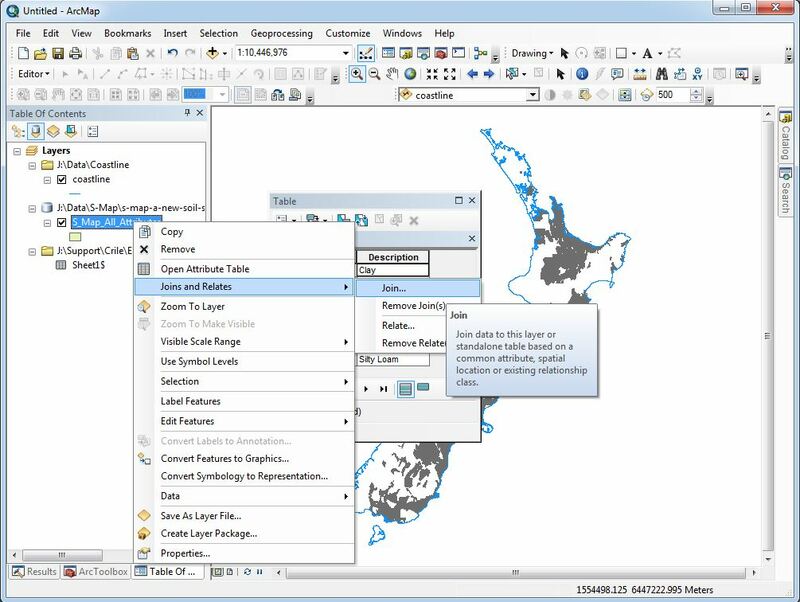 There are many examples of attributes in data such as this (the Land Resource Inventory and Land Environments of New Zealand, both on J:, come to mind). 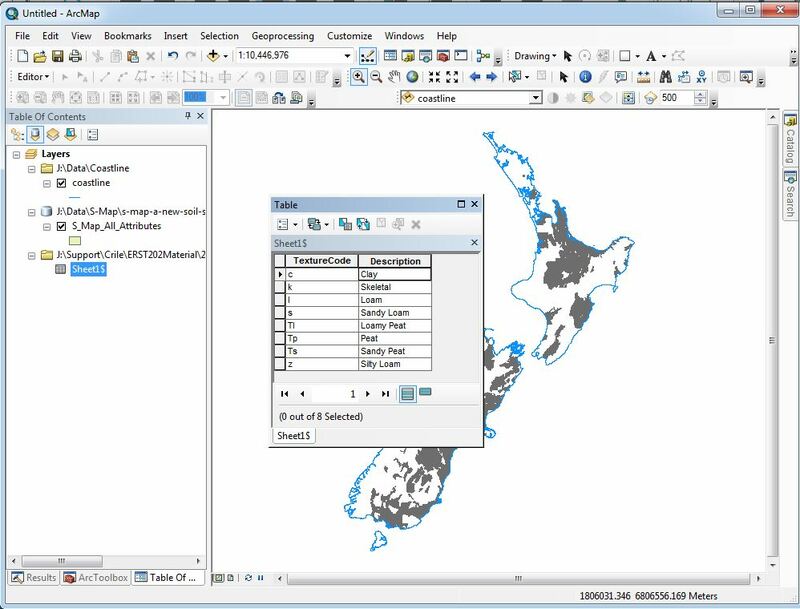 If you’ve got some metadata that translates the codes, it’s often quick and easy to create you’re own file and then join it to your spatial data, thereby making hard to understand data easier to interpret. The tricky part if often finding the right metadata.